Accommodating up to 13 passengers, the 62' Azimut's saloon's open layout offers excellent views and has an open conversational area as main focus. Form and function combine in the 62’s helm station, which continues the boat’s curvaceous styling themes. Your yacht rental adventure includes tours of Biscayne Bay and the surrounding Miami area. Although the saloon’s main focus is for conversation, the 62' Azimut has an open layout that also offers excellent views. Form and function combine in the 62’ Azimut's helm station, which continues the boat’s curvaceous styling themes. The 62’ Azimut mega yacht, by any standards, is a great work of art combined with state-of-the art engineering by its designers. It shows not only style but also substance. The yacht is Italian made from the Azimut Bennetti group. 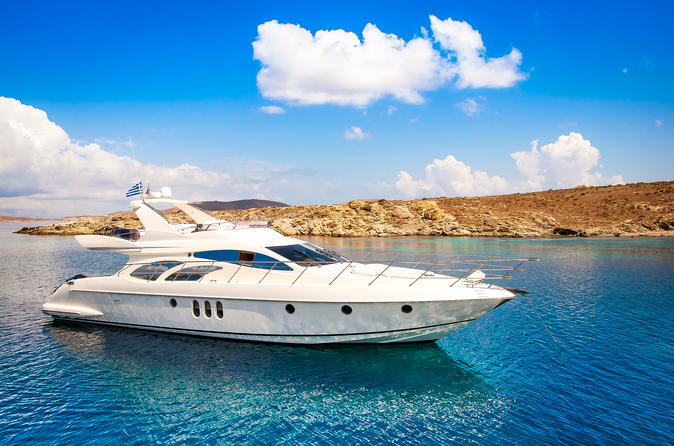 The inside of this yacht is spacious featuring three guest cabins and one crew cabin. It also has one large split level deck saloon. The yacht can carry up to twelve passengers. It has three bathrooms and staterooms it making ideal, even for family vacations.